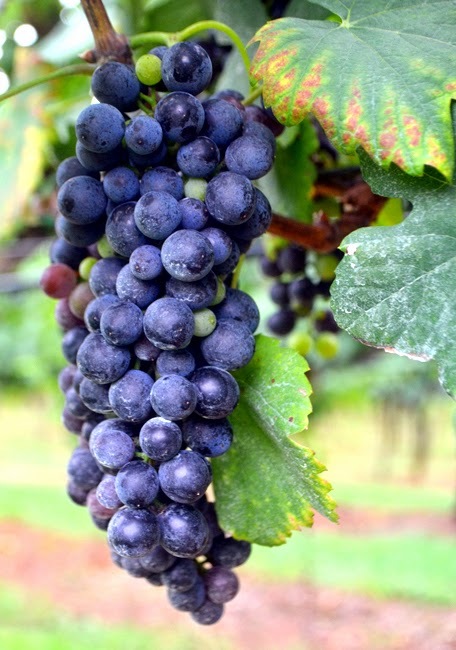 wanderlust ATLANTA: Autumn Wine Tasting...Frogtown Cellars! Those first chilly evenings announcing the coming of autumn is when I start thinking of excursions to wine country...and doubt me not, Georgia Wine Country is splendid! With that, let me start with a huge "Thank you!" to Jacky, and Frogtown Cellars, for a magnificent vineyard experience! And the wine was awesome! 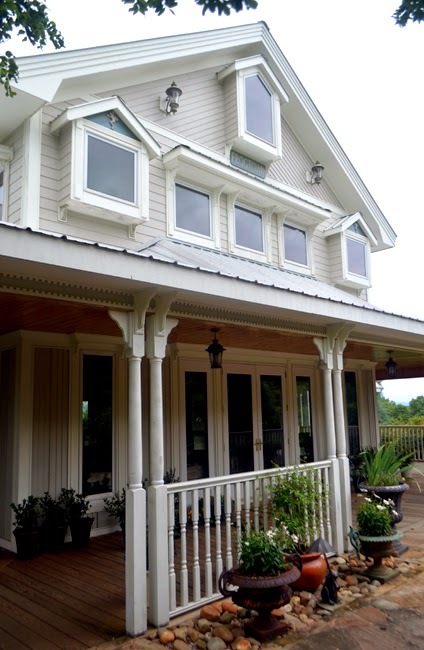 Even on an overcast day—this was mid-summer—Frogtown Cellars' vineyard is stunning. The lush rolling hills capped by blue mountains...absolutely beautiful! 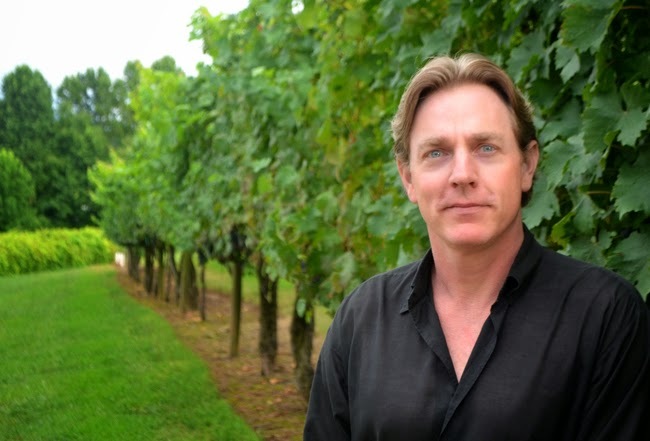 The owners of the vineyard, Craig and Cydney Kritzer, were out of town when we visited, but Craig and Cydney, please know that Jacky was amazing and wonderful...we felt like we'd made a new dear friend by time we left. Thank you, thank you, thank you for Jacky! Also to Jacky's credit, it was late when we arrived...only 20 minutes until closing. When about 15 minutes after closing I offered to Jacky that we could wrap up, no pressure to stay so late, she would hear nothing of it. She knew that I, and wanderlust ATLANTA, was visiting and was such a gracious host. Thank you again for making extra time for us! We tasted a number of wines! I prefer my whites on the light and crisp side and I like my reds full-bodied and robust. Opposite ends of the scale, I know, but that's what I like. Jacky offered tastes of many that I enjoyed, but in particular I very much liked the Sauvignon Gris, and especially the Frogtown Propaganda, a maritage of Bordeaux grapes, Merlot, Cabernet Sauvignon and Petit Verdot. "Propaganda" is such a clever name, and appropriate...I will be enjoying it again! When we arrived and introductions had been made, we moved directly into tasting! We explored the winery later, but tasting wine was first on the menu...and I'm not one to argue a plan as brilliant as that! After inquiring as to our wine preferences, we sampled a number of wines and learned about the winery, the owners, harvesting, the winery's various offerings, and Frogtown Cellar's wine making philosophy...we learned a lot! And then there were stories. Neither Barry or I are shy when it comes to chatting about...well, anything. But life stories seem to be a favorite. Jacky is a conversation master! And that's part of an excellent wine experience with friends, right? All the amazing conversation...some of it about the magnificent wine and some of it about life? Jacky made us feel quite at home. Before we went in, we had walked over to the grapevines for a peek at the fruit...call it a preview of what we were about to experience. You know, unlike most food experiences in city life, we don't very often get to connect with the food and drink that we enjoy. I think that's one of the reasons I like farmers markets as much as I do. I may not get to connect with the actual farm, but very often get to connect with the local farmer...having that relationship makes my food so much better. So, getting to "connect" with the brothers and sisters of the grapes that had already transformed into the extraordinary liquid that would soon be delighting my nose and dancing across my tongue...well, that's a magical experience. Purchasing a bottle of a wine at my local bottle house drive-thru window is one thing (I appreciate you guys, believe me! ), and communing with nature—with the grapes, terroir, vintners, and wine that was made in my backyard—that's something special. 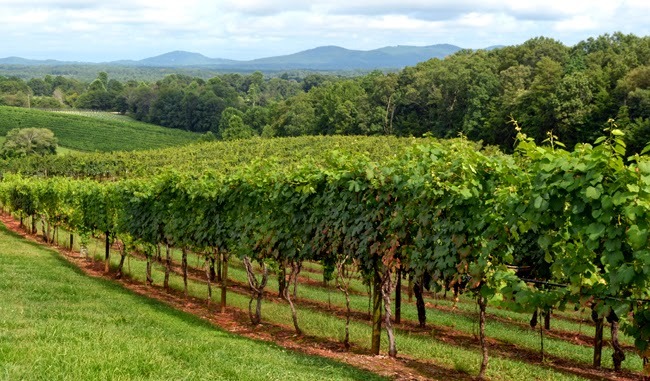 If you've not already, you MUST check out the Frogtown Cellars website. It's genius! And if I remember correctly, the person behind the design—a family member or friend of the family—is also the person who designed and created the amazing labels for all of winery's bottles. They're truly brilliant and he's one brilliant designer! 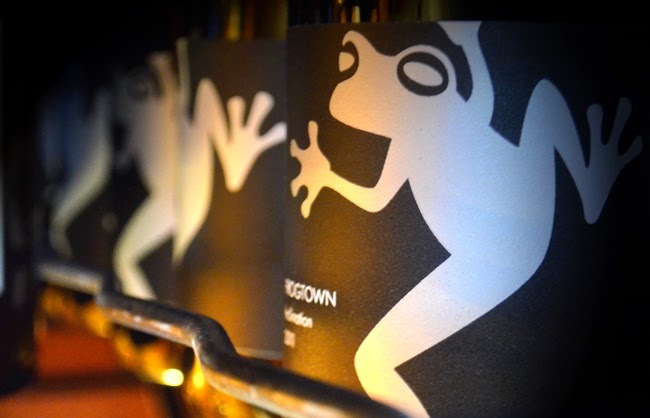 When you explore the website, you'll learn the origin of the name "Frogtown Cellars"...a simple, yet brilliant concept, I think. 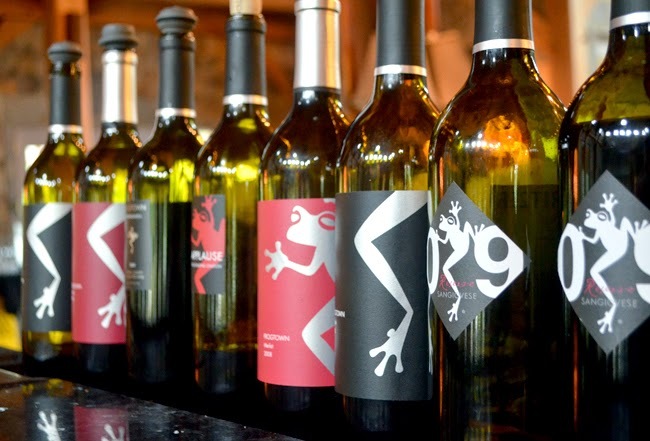 And I just like frogs...they're fascinating creatures, as many Frogtown Cellars' wines are fascinating. And by all means, explore Frogtown Cellars' winemaking philosophy...I believe it'll greatly enhance your wine tasting experience. Some of this you'll learn during the hospitality of the tasting, so don't feel like you have to read it before you head to the winery. And ask all the questions you want...they're there to make sure you have a good time and they love fellow wine enthusiasts! Look at that patio and view! Frogtown Cellars also has a Bistro that serves some amazing looking paninis. We arrived after lunch, so didn't get to sample the food, but have a look at the menu...it has me salivating as I type! I love a good panini! Even more than a good panini, a gorgeous cheese board. Throw in a perfectly paired glass of wine and a view like this...magical! I could spend weekend afternoon after weekend afternoon here. As I'm writing this, remembering the wonderful experience I had at Frogtown Cellars, I'm reminded of Frogtown Cellar's Citizen Wine Club. And I had every intention of writing this particular post while enjoying a glass of wine, or two, from Frogtown Cellars. Alas, the Frogtown Cellars wine that once graced my wine rack not too long after our excursion became the subject of another tasting, but very much enjoyed. Perhaps it's time to join the Citizen Wine Club! 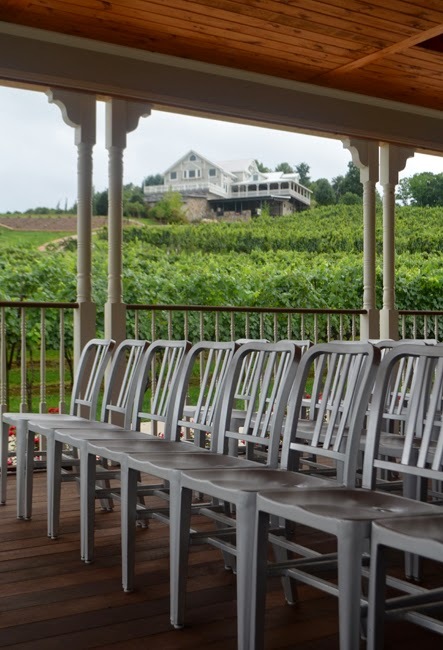 I've always found garden weddings to be beautiful, but as the years have ticked by, more and more I've come to admire the vineyard wedding and wedding reception. You're in a natural setting, a setting where friends will be comfortable, the wine is going to be incredible—because you've enjoyed the varietals that will be offered...the reasons for a vineyard wedding make for quite a significant list. 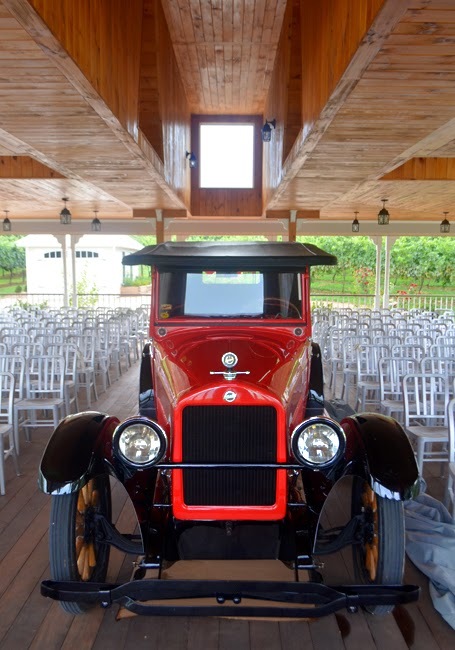 ...Frogtown Cellars offers a selection of absolutely stunning classic vehicles in which the bride may make her grand entrance! There's a 1931 DeSoto Coupe...and it's going to make you feel so Gatsby! And there's a Studebaker, pictured above. Either way...these beauties will help make your special day one that your guests will remember for years! I have friends—fellow wine enthusiast friends—who bring their camera with them to chronicle their wine excursions, presumably most of their wine excursions, which I think is a brilliant idea. Some of the best people photos are not so staged, but out just having fun. Some of you know that I do a fair amount of wanderlusting with my best friend, Barry. He's an explorer, a seeker of adventure as much as I am—friends who enjoy doing the same things...imagine that! Anyway, as you can imagine, a vineyard is a great locale for snapshots and Frogtown Cellars is beautiful. When you share your photos on Social Media, I invite you to tag them #FrogtownCellars on Twitter and "Like" Frogtown Wine on Facebook. 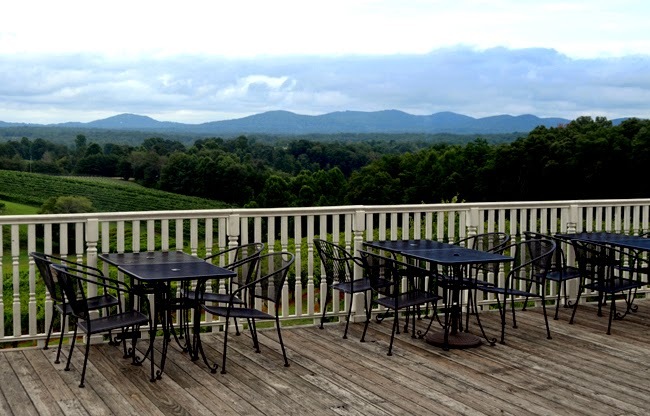 Let me leave you for the first thing we saw when we arrived at Frogtown Cellars...the magnificent view! 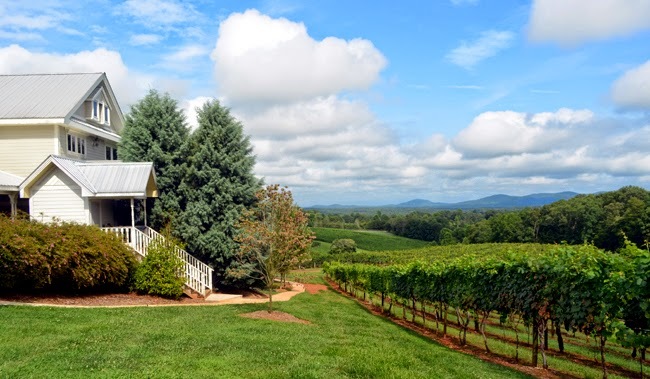 Again, "Thank you" to Jacky and Frogtown Cellars for a magnificent wine experience in Georgia Wine Country...we'll be back, with friends!